November 8, 2018 By Stacy Leave a Comment By clicking on our links, we might make a SMALL commission - Thanks for the support! See our full DISCLOSURE here. HatchiBabies are magical plush creatures who hatch out of their speckled eggs right before your eyes! Will it be a boy or a girl? Check the secret message to find out! Then feed, burp, tickle & snuggle your HatchiBaby & see how they respond! Teach your HatchiBaby to talk & play games like peek-a-boo. 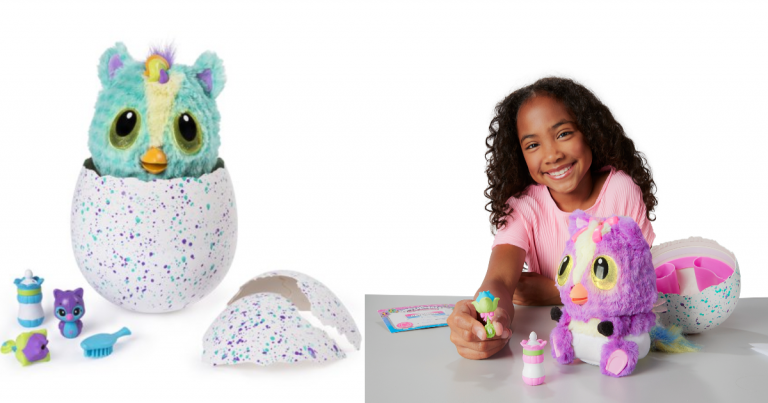 They come to life with color-changing eyes, moving beaks & rocking bodies! The more you play, the more responses youll unlock! Shipping information: Choose free store pick-up. You may possible score $5 Kohl’s cash when you choose pick-up. Shipping is free with a $50 purchase at Kohl’s and $35 purchase at Walmart.